Sorption Enhancement of Chemical Processes, Volume 51 compiles the latest, state-of-the-art progress in the area of sorption enhanced processes. 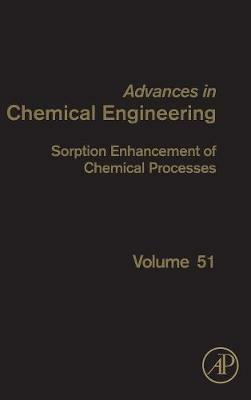 Topics in this updated volume include Sorption-enhanced water-gas-shift and steam methane reforming, CO2 sorbents for sorption enhanced steam reforming, Reactor design for Sorption Enhanced Reforming using Ca-Cu chemical loops, Sorption-enhanced reaction with Simulated Moving Bed reactor (SMBR) and PermSMBR technologies, and the Process design and Technoeconomic assessment of sorption enhanced systems. This series contains contributions from leading scientists on the topics presented, providing tactics on a multiscaling approach, from materials, to reactor, to process design.